I ended up booking this hotel because Accor was having a 50% off sale for most of their properties in Europe. Accor has sales such of this fairly frequently, see post here. Because I was traveling from Paris to Brussels via bus (with a large amount of luggage in tow) and because we were only staying in Brussels for 2 days I wanted a hotel that was close to both the bus station and to all the main sights. This hotel fit both those criteria. For those not familiar with the brand, Novotels are generally well maintained, clean and modern midscale hotels (along the lines of Sheraton, Hilton, etc). I had been to Brussels twice before so I was somewhat familiar with the area. 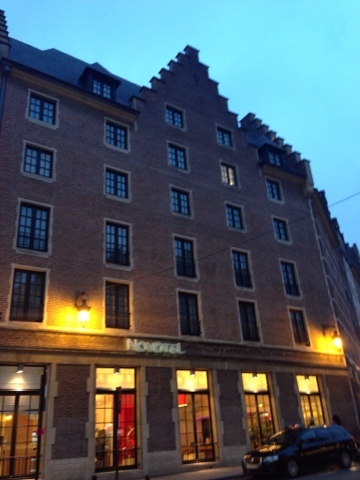 The hotel is located in a busy area about 2 blocks from the Grand Place. It is also about a block away from the central train station and the bus station. Additionally there are numerous shops and eateries in easy walking distance and a bike share station right outside the front door. Our room had minimal if any street noise. As an accor platinum member we were upgraded to a "newly renovated room" on the top floor. 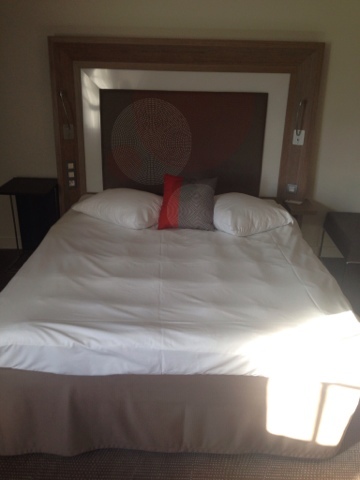 Accor platinum status doesn't guarantee you any upgrades at Novotel so this was nice. The room was fairly spacious and the decor was simple and modern. Bathroom had a shower but no tub. The bed was large and fairly comfy. 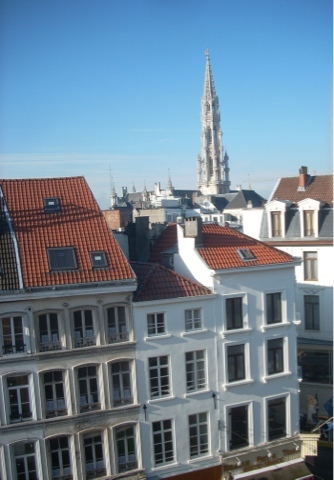 We had a very nice view across the rooftops all the way to the grand place. 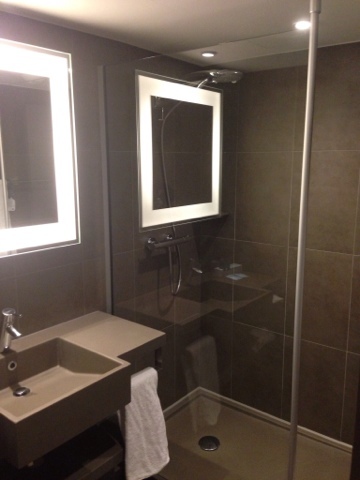 Nice midscale hotel with very good location for walking around Brussels. Check in/out was efficient and the front desk staff were friendly. All in all, was great for the price, which was not much more than what a hostel would cost for 2 people. I would probably consider staying here again even if I had to pay full price given the convenience of the location. For more on Brussels see my post here.